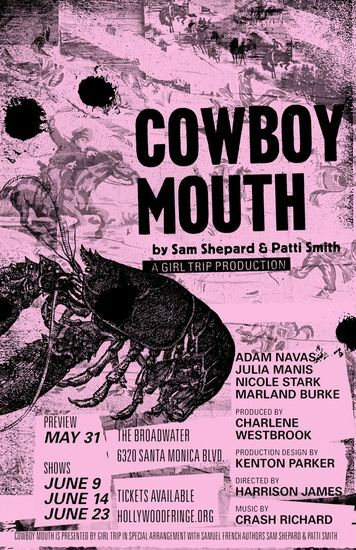 Girl Trip Productions is excited to announce the fresh staging of the one act play, Cowboy Mouth on May 31st, June 9th, June 14th and June 23rd at The Broadwater in Los Angeles. Set in 1979 Los Angeles when punk, rock and new wave collide, the play is the story of a woman who kidnaps a young man with a wife and kid off the street at gunpoint, with the hopes of inspiring him to be a rock and roll star. 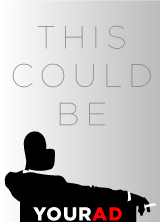 But the play has an underlying theme far more universal. Cowboy Mouth is about the importance of taking responsibility for our own creativity, falling in love with the person, not the potential. Girl Trip co-founder and director Harrison James and her team seek a current, relevant Cowboy Mouth— honoring the creative and intimate connection between Shepard and Smith, while thirsting for new ground theatrically. Originally penned by Sam Shepard and Patti Smith, Cowboy Mouth was conceived while the two lived together at the Chelsea Hotel in 1971. Passing a typewriter back and forth, they crafted a cautionary tale about using art as deliverance from our own flaws, and relating to someone’s potential instead of who they are.